After months of on and off development, I’m finally releasing version 0.1.0 of Firegraph. 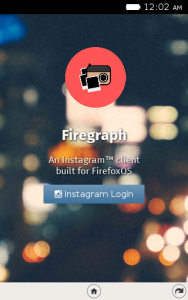 Firegraph is a FirefoxOS read-only (due to some API key restrictions) packaged webapp for accessing Instagram. While staggeringly incomplete, it does offer basic feed viewing functionality for users that download it, and that I’m proud of! 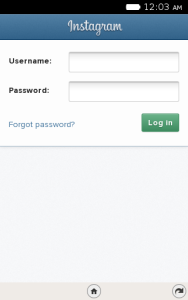 Why in the world would I make an Instagram app for FirefoxOS? For fun! 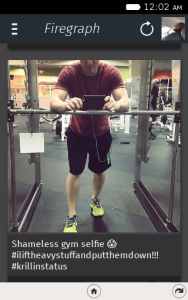 It was a fun app to make, I got to explore the newer corners (somewhat) of the newer version of EmberJS (version 1.11), and I got to play with the Instagram developer API. I rarely make apps/programs that interface so tightly with a popular company’s API, and I definitely got a taste for what other developers that build on provided platforms (like Instagram’s) feel. All in all, it was definitely a fun experience (and also kind of a necessity since I recently got an Instagram account). Truthfully, this release is kind of an excuse to discontinue work on this project, and to my eternal shame, there are no tests for this webapp at all (other than the placeholder that came with ember init. While my shame is great, I’m not shamed enough to go back and write tests (sorry 😀 ).